Are you a believer? Well, it doesn’t matter how logical and rational you think you are, there’s at least one place in the world where you would never dare approach. The Earth is a big, beautiful place, but except the man-made and natural stunning destinations there are also many horrifying places that we bet you didn’t even know about and where even the most adventurous ones would never enter. Places that will make your skin crawl. According to our little research, scary locations and spooky houses seem to be everywhere, but there are a couple of them that are more terrifying than others. And what makes the creepy-looking places even creepier is the fact that each one of them has a story behind – a story that is haunting, chilling, and maybe even true. Most people would never dare book a flight to scare themselves; apparently you don’t have to be there to experience its nightmare. These images are frighteningly powerful. Check them out and tell us if you have ever visited these creepy spots, and if not – would you ever? 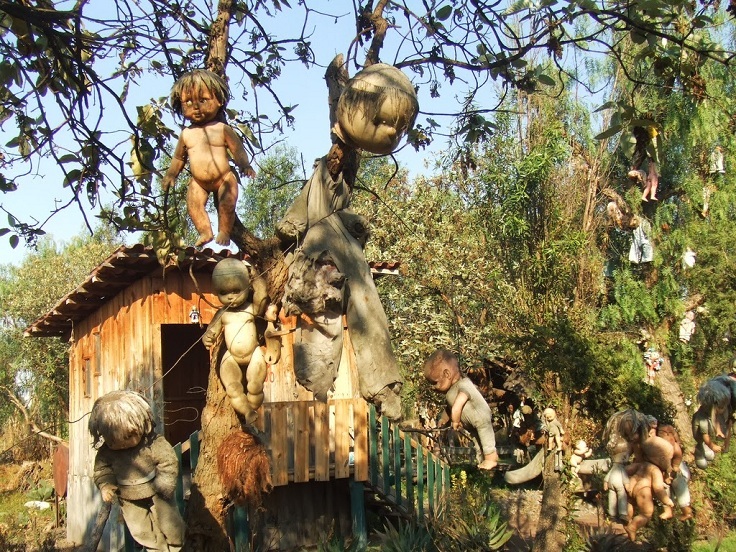 Hidden in the canals of Xochimico near Mexico City is the famous Island of the Dolls, or Isla de las Munecas. Although it looks more like a horror movie set than anything else, it was never intended to be one. Don Julian Santa Barrera – the caretaker of the island collected and displayed the toys in the hopes of keeping the evil spirits away after finding a dead girl’s body in a nearby canal. For 50 years, until he drowned in the same waters, he continued hanging dolls and now it’s a tourist attraction that visitors keep adding to. A small island near Venice, used to isolate the plague victims, who were dumped into large pits and buried or burned. Even those citizens showing the slightest symptoms were taken from their homes and to this island they were thrown onto piles of rotting corpses and set ablaze. 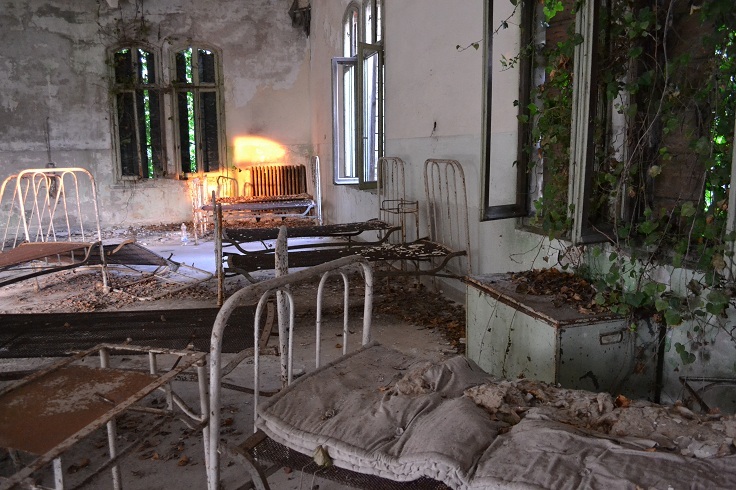 As if the story was not disturbing enough, in 1922 the island became home to a psychiatric hospital where one of the doctors tortured many of the patients, before taking his own life. In 1968 the island was completely abandoned, today considered to be the most haunted location in Italy. Chateau Miranda, a castle originally built by Liedekerke-Beaufort family. 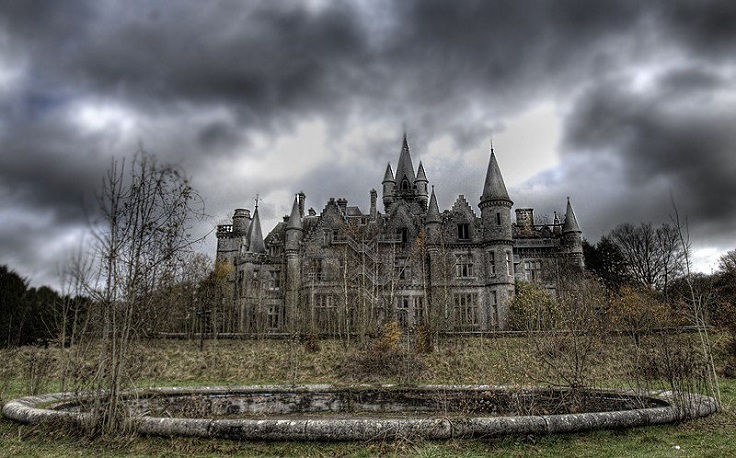 In World War II it was taken over by the National Railway Company of Belgium for use as an orphanage, because what would a creepy old mansion be without the potential for ghost children? Abandoned in 1991, the place is now fit only for wayward teenagers, ghost hunters, and aspiring satanists. With its spooky tales it is one of the most sought after destinations for paranormal activities in Belgium. It is believed that animals can sense unnatural happenings before the humans. 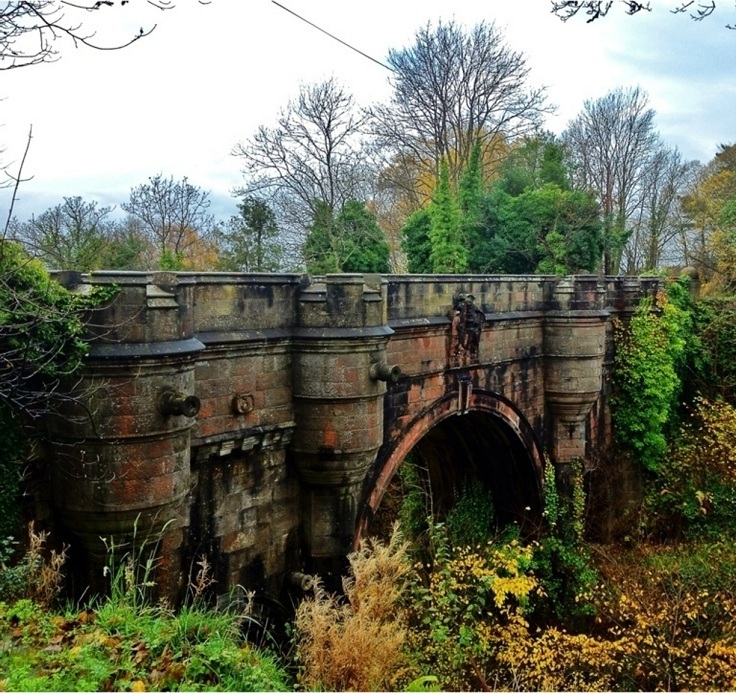 Located near the village of Milton, Scotland, exists a bridge that for some reason has been attracting suicidal dogs since the early 60s. Even stranger is that many have witnessed the dogs actually climbing the parapet wall before making the jump. It is certain that the dogs aren’t “committing suicide”, but rather something is luring them off the bridge before the dogs can realize the height. Unbelievable, but true! 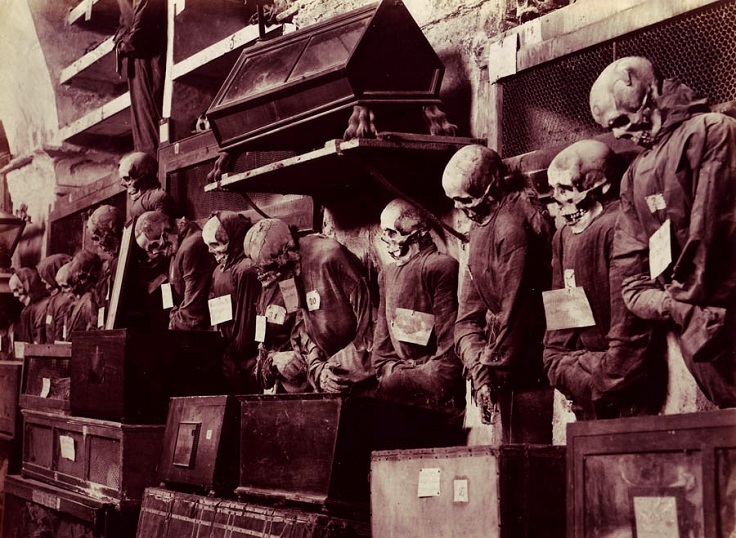 The history of the Capuchin Catacombs is in 1599 when Capuchin monks discovered that their catacombs contain a mysterious preservative that helped mummify the dead. That’s exactly why over 8000 Sicilians chose to be buried here. Visitors can wonder through the dark halls, which are divided into 7 categories that include men, women, children, virgins, priests, monks and professors. The last corp to be buried here is a 2-year-old girl in 1920. We have to warn you, though: this ”human library” isn’t for the faint-hearted. 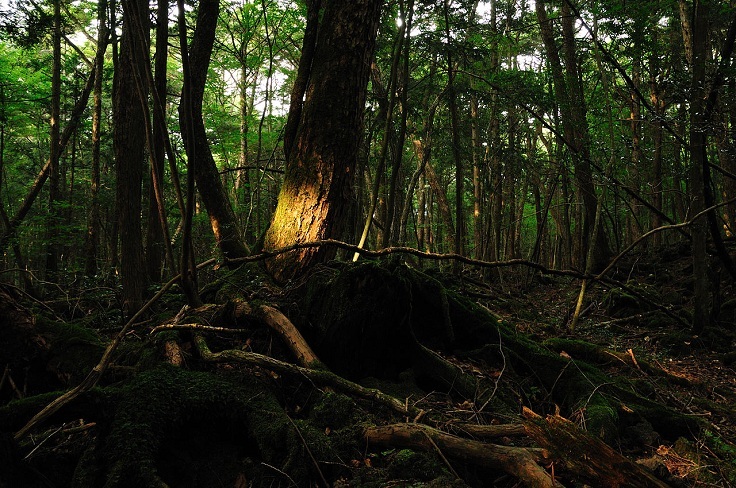 The Aokigahara Forest has the (un)fortune to be the world’s second most popular place to take one’s life. Since 1950, many people have gotten in, and at least 500 of them haven’t gotten out. Called “the perfect place to die“, this is the forest where most people hang themselves or die of overdose. Recently the numbers of deaths have increased even more, with a record 78 suicides in 2002. It is said that if the corpse is left alone, it is very bad luck for the yurei (ghost) of the suicide victims. Their spirits would scream through the night, and their bodies move on their own. This small island, found around 15km from Nagasaki, was set up as a mining facility between 1887 and 1974 and was home to thousands until the coal ran out in 1974. With zero human intervention, the deserted island has now become a dwelling of souls and sprits. 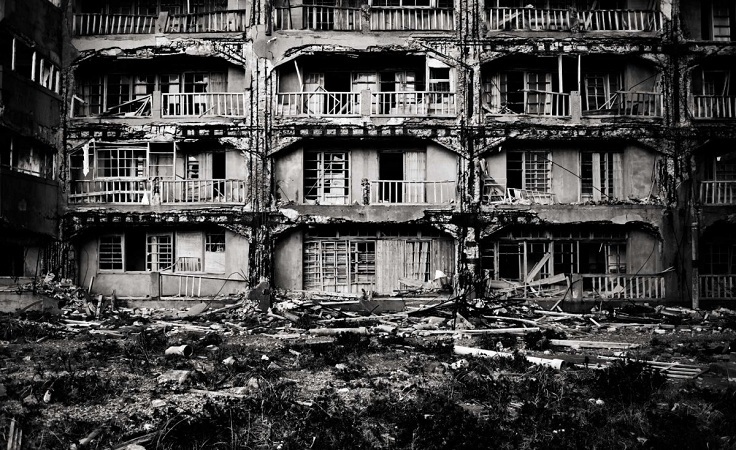 In this abandoned place called ”ghost town”you can hear murmuring and whispering sounds with no one beside you! Introduced in 1829 in Pennsylvania, it was the first jail to implement solitary confinement for the prisoners which were tortured by the guards and left to die in tragic circumstances A prison sentence at ESP not only separated you from the outside world, but from all human contact. 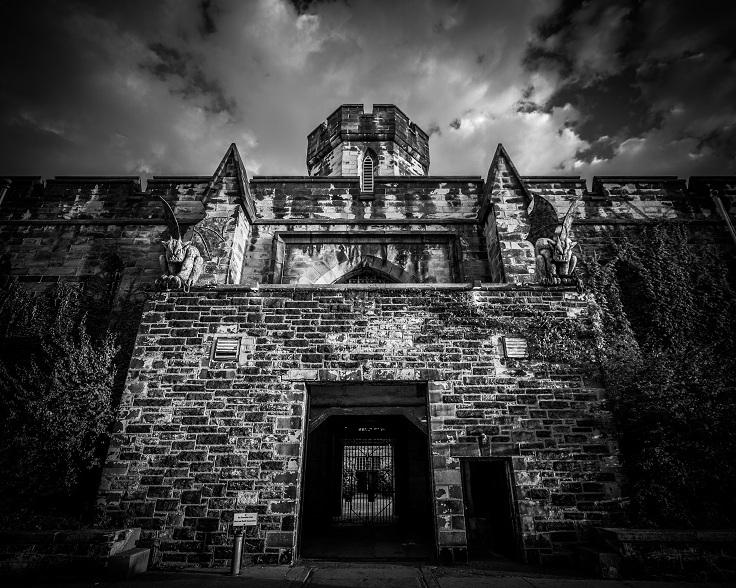 The prison, which closed its doors in 1971, is one of the most haunted buildings in America. Those who believe in ghost stories say the trouble souls of the mistreated inmates still roam Eastern State’s crumbling hallways. This church in the Czech village of Lukova was left to rot after part of the roof collapsed during a funeral service in 1968. Believing this to be a sign of bad luck, locals abandoned the medieval church and it was left to deteriorate for nearly 3 decades. 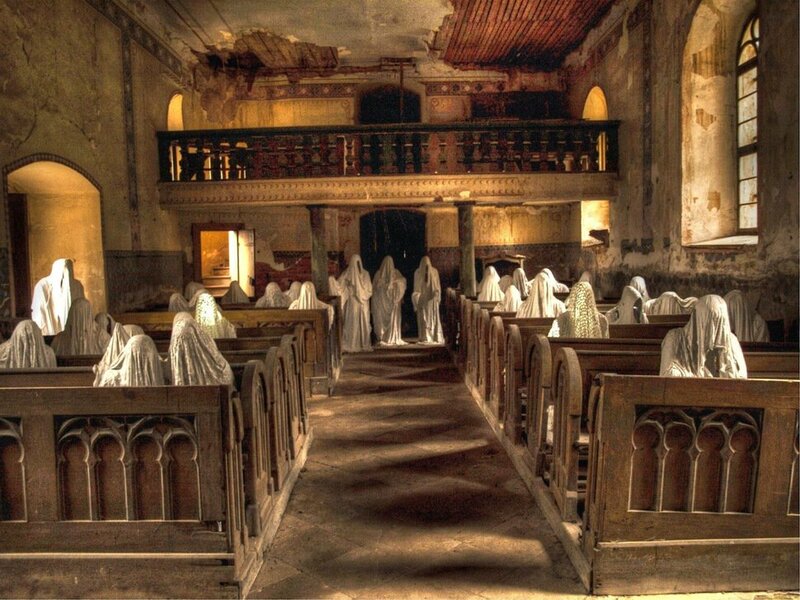 Fortunately, the local artist Jakub Hadrava saved the church by setting a spooky art installation featuring dozens of ghosts, thereby attracting hundreds of tourists who are donating their cash to keep the church open. In the eastern part of Jakarta is located an infamous shantytown where dressed up with children’s clothes and doll head masks, monkeys dance and perform tricks in streets, before stretching out their hand to the passer-bys to collect a few coins. This bizarre performance, called ”Topeng Monyet”, actually is an old Indonesian tradition. In 2011 the Indonesian government decides to ban the masked monkey shows, as they’re obviously wildly inhumane, both to the monkeys and to humanity in general. If you’re interested, these shows are still around now; they’re just underground.